Have a balance of at least €1 on this account 3 months after opening and funding it. Having executed at least three trades (opening or closing a trade) on your BUX STOCKS account within the first 3 months after opening and funding it. 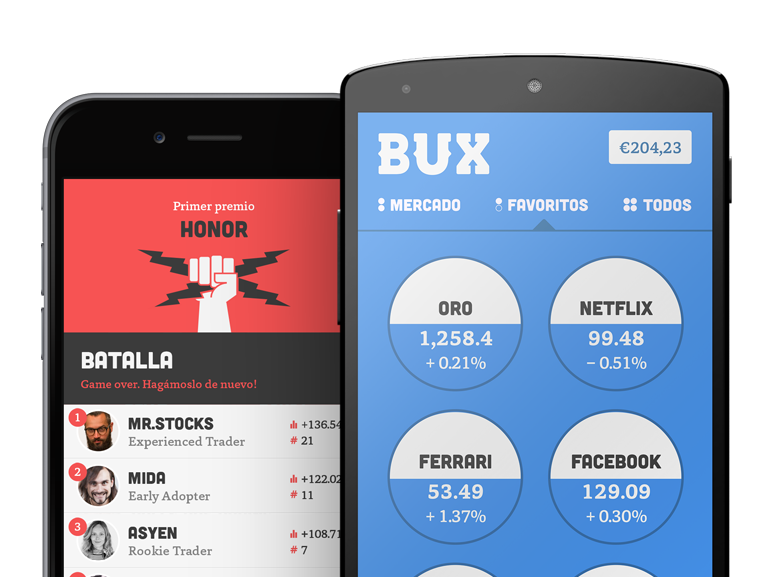 The BUX STOCKS app hasn’t launched yet, but if you sign up to the waiting list we will inform you two weeks prior to the exact launch date. In addition to this free share, you can earn up to 5 more shares by inviting friends to sign up to the waiting list. Your chance to receive additional shares only increases if they also meet the requirements after launch (i.e., creating and funding an account). The more friends that meet the requirements, the better your chances are to receive additional shares, with a maximum of 5 extra shares. We will distribute a maximum number of 100,000 shares in total.